PANDORA Interlocking Heart Pendant Charm 791242CZ. The love between two people can be indestructible. 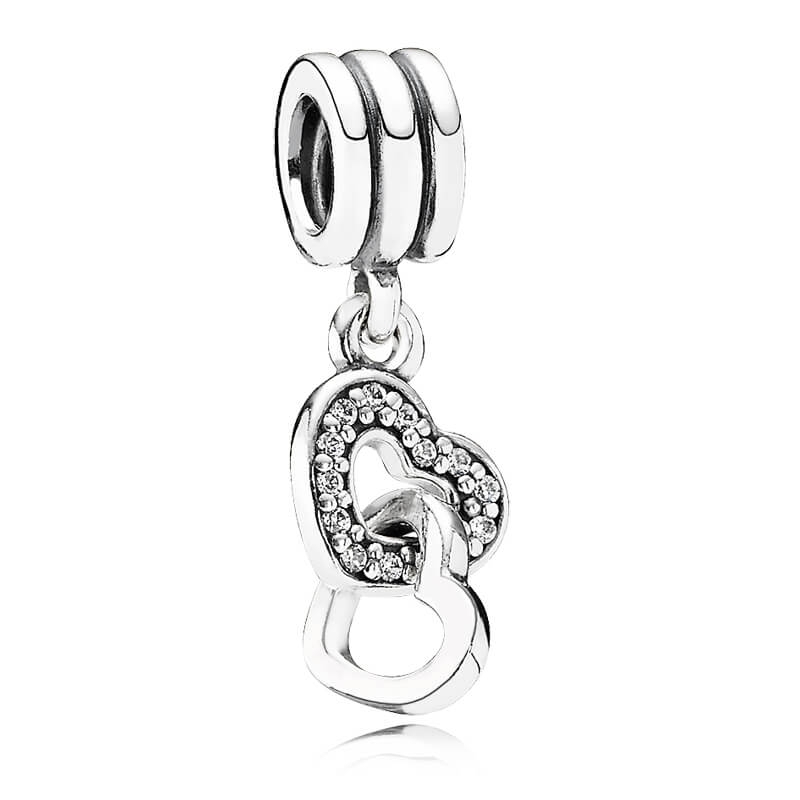 Represent this strong bond with the interlocking heart pendant charm. Two sterling silver hearts hang from it, one of which has been adorned with cubic zirconia gemstones. The charm was truly beautiful.